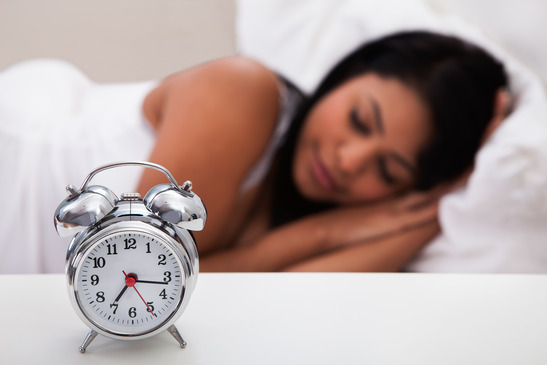 Are you a side sleeper that always ends up tired in the morning, or do you find yourself waking up intermittently throughout the night? Believe it or not, not all mattresses are made for everyone, and chances are that you may just not have found the right option for you. This guide is going to help you to determine what you should look for when buying a new mattress and the types of mattresses that are best for side sleepers, to help you get the best sleep you have had in years. If you are a side sleeper, the number one thing you need to keep in mind when searching for a new mattress is to avoid a firm options. The reason being is that when you sleep on your side, the pressure from your body is placed primarily on your hips and shoulders. Firm models don’t give enough support to your hip and shoulders because they are pushing back on your body and preventing your spine from falling into natural alignment. To maintain the natural curvature of your spine and to achieve the best possible rest, you want a softer model that is going to hug your body rather than push against it. Although you should avoid firm options at all costs, don’t take that to mean that you should make a purchase with absolutely no support whatsoever. Purchasing a mattress because it is soft with little resistance is sure way to wake up with muscles aches and pains that can be worse than being tired in the first place. Ideally, you want to look for a medium-soft model that gives you the best of both worlds. People who sleep on their side rejoice. The Brentwood 10″ HD has come to your rescue and give you the benefit of not having to wake up with soreness and ache in your shoulders, necks, and hips. With ten inches of high density (HD) memory foam, this model has two layers that are medium firm to fully support your body’s side sleep position and give you uninterrupted slumber. The top layer’s 2.5-inch is supported by a 7.5-inch therapeutic base that helps eliminate motion transfer reduce the incidence of tossing and turning in bed that often awaken those who sleep on their side. Firm support with a cushiony feel is how side sleeper customers who have purchased this Brentwood model reported their satisfaction with it. 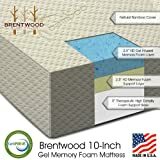 Although this model is a conventional memory foam model, you don’t have to worry about sleeping on a bed of coals because it doesn’t get hot even without the gel infusion found in Brentwood’s other models. If you want something cooler to sleep on, though, you may prefer the models that have built-in gel beads. There are plenty of memory foam models that claim to offer relief for those sleeping on their side who also have back pain, but the DreamFoam Ultimate Dreams 13-Inch Gel is a cut above the rest in terms of features and performance. To provide the utmost support for your back, the mattress comes with multiple layers, the first acting as the base, the second the back support and the third conforming to your spine’s alignment. The use of multiple layers, each with a specific function but working together, makes this ideal for sleeping on the side and easing back discomfort. Although foam mattresses resemble each other, the makeup varies and this makes a huge difference when you lie down and rest. What makes the DreamFoam effective is you won’t just feel comfortable when you lie down and sleep, but this extends to when you wake up in the morning. In other words, it is not just for sleeping, but for recuperating as well. Few foam mattresses have elicited as much positive responses as the Sleep Innovations 10-Inch SureTemp, and most of the positive feedback comes from people who suffer from back pain and sleep on their sides. Sleep Innovations is no stranger to be furniture, and the SureTemp is one of their better products yet. This model , first and foremost, feels comfortable, and you just need to press your hands on the poly cotton cover to know this. However that’s only the tip of the iceberg as this model also provides other benefits like therapeutic support, eliminating tossing and turning, and relief from body aches and pains caused by pressure. Besides offering spinal alignment support, the unit is also resistant to dust mites and allergens, common problems with other similar models. Although there are a lot of models like this on on the market, the SureTemp is just way ahead of the rest in terms of features. There’s been a lot of talk about the LUCID 12 and how it’s been able to help those who prefer to sleep on their side to sleep better, and for once, here’s a product that actually lives up to the hype. 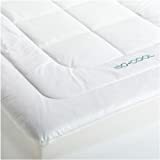 There’s plenty in the LUCID 12 to go over, but at the heart of it is the 12 inches of luxurious foam with gel infusion that distributes heat evenly, essential for alleviating back pain and make sleeping on the side much more comfortable. This model also has an antimicrobial cover and special pin core technology that boosts airflow all through the layer. Just like other Lucid products, this model has a long warranty –good for 25 years-, and the open cell construction ensures the material will last longer and be more resilient than others. The combination of increased air flow, conforming to the body and allergen resistance makes this a very compelling proposition. Just because you don’t want to spend thousands of cash on a good quality bed product doesn’t mean all you’re ever going to get is a lemon. 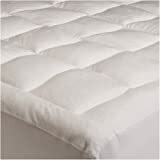 The new DynastyMattress Cool Breeze which comes in several other sizes as well, dispels this common notion. For its price, this model packs a wallop and is easy on the budget. With nine sizes to choose from, including those specifically built for RVs, it doesn’t get any better for the customers who buys this Dynasty model. Designed with the use of state of the art technology, this is the only known model in its class with four layers. 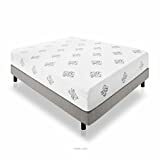 Dual cool airflow two-inch foam, high density (HD) five-inch base support foam, and a three-inch layer of gel memory foam on top all combine to give the sleeper the ultimate in sleeping comfort. The premium gel beads in this model ensure that you are warm during winter and cool during summer. Spring models are low cost, but they are not likely to be the right option for you if you sleep on your side. This is because the springs place all of the resistance on the heaviest parts of your body rather than distributing it equally across your entire body. People who sleep on their sides rely on their hips and shoulders to hold their body up, and spring options will put most of the pressure on your joints and bones. Choosing this type of mattress is sure to give you all types of aches and pains in the morning and any cost saved on the total purchase price is likely going to have to be spent on coffee in the morning to wake yourself up! Latex is used to produce a natural rubber material that is incredibly durable and not as susceptible to permanent body impressions as other models This means that you are going to be able to keep your purchase for a long time and it is going to give you long lasting support without causing you to sink into the same impression every night. The two main types of latex models are Dunlop latex and Talalay latex; you’ll want to purchase a Talalay mattress. Dunlop models are much firmer than Talalay because of the way they are produced, whereas Talalay models can be customized to be either soft or firm. Talalay latex brands do not retain as much as heat as their memory foam cousins and don’t give off smells or gasses from chemicals used in the production of foam. Latex models have motion isolation so that they don’t move around when you or your partner are moving or getting out of bed. The only major downside of a latex product is that they are one of the most expensive choices. The average price of a low-end latex unit starts at around $1,000. Foam models are one of the best options in terms of value and quality of sleep because they can give you full body support. Models of this type let your body sink just enough so that your spine is able to bend into its natural shape, whilst also giving adequate lumbar support and resistance so you can sleep comfortably. Foam also contours to the sides of your shoulders and hips to hug your body nicely and give you all round support if you happen to turn or shift around during sleep. One of the most common complaints of these types of mattresses is that they retain a lot of heat; if sleeping on a hot surface bothers you, you may want to go with a latex option. Another common concern is the potentially harmful chemicals used in the production of these models. Many of these odors are masked with commercial perfumes and deodorizers that can cause breathing difficulties among those with asthma. Good quality entry-level options can start at $400 and up depending on the level of thickness you desire; a recommended thickness level for you so that you can get the best sleep possible is approximately 4 inches. This entry was posted in Mattresses, Side Sleepers, Sleep well on April 6, 2014 by admin.